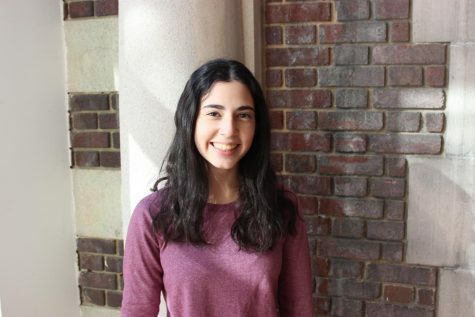 Michal Zelmanovitz is a Junior in SKA and an Associate Editor of The Looking Glass. She is also an Editor of the Parsha Press. She is an active Israel Action Committee member and she was the head of the SKA NORPAC mission last year. She exercises her public speaking skills in Model Congress. Chessed is a big part of Michal's life; she volunteers in JEP, Friendship Circle, Friends at Home, Ohel Bais Ezra, and Yachad. She is a member of the Yachad Youth Leadership Council and is an SKA Yachad Club head. She is also a head of the SKA MACs Committee. In her free time, she runs her business, MS. Patch, cooks, draws, and spends time with her friends.